This last month and half I have been training to run a race. At the beginning of the summer, I could barely run a minute without stopping. After several months of getting in shape, my trainer challenged me to find a race and sign up for it. Well, the one I found was the 5k that went along with the Kansas City Marathon. 23,000 people run in the 5K, Half/Full Marathon. I had never been able to run a mile growing up. I have never been inclined to be a runner. I was pretty much always the fat kid. Good at swimming because I could float. After training, I have begun to actually like it. I thought I wouldn’t be able to run because of my knees, my weight. But I did it, and in a pretty decent time as well. As much as I want to celebrate and brag about this accomplishment, my work isn’t done. I have other goals to attain as far as physically. But it feels pretty good to work hard towards something that you never thought possible. Something that the world is shouting at you that you can’t do. The sacrifice and pain is worth it…I can’t really describe the feeling I have about it. 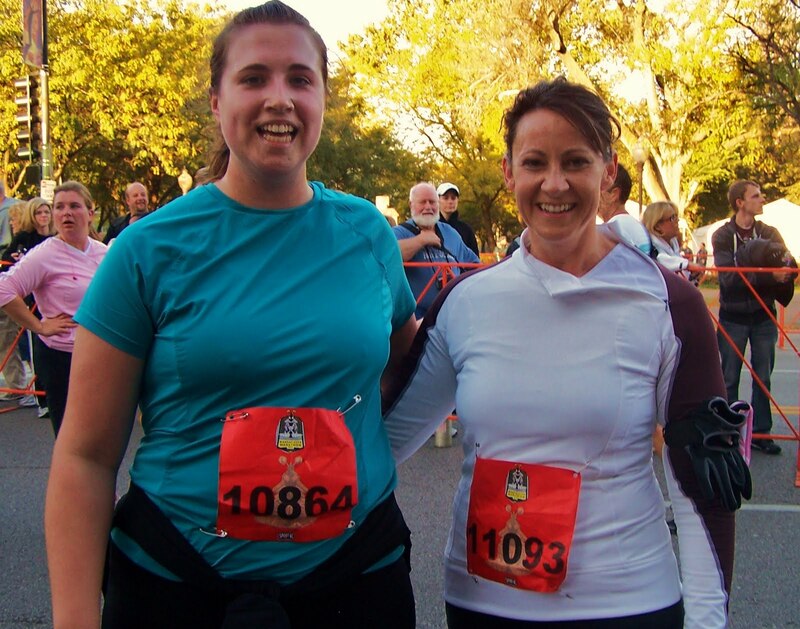 Perhaps a half marathon is next….or maybe a 10K first. My trainer Angie and I after the race! you are so awesome!! that is really exciting… im so glad you enjoyed it too…! !